Jan Steen, the so-called jolly landlord of Leyden (ca. 1626-1679), who, however, painted also at The Hague and Haarlem, was likewise a painter of social subjects, but in a line and in a manner quite his own. That he was a low-lived tippler is simply one of those wholly gratuitous slanders with which it was once the fashion to besmirch the painters of Holland. A jovial life was probably not repugnant to his tastes; and what is more to our purpose is the fact that a spontaneous joyousness pervades his works, and a sparkling sense of humour too; while as a colourist he must be looked upon as the foremost of the entire school. His pictures might be entitled comedies of life, in which man's follies are chastised with satire and his weaknesses held up to ridicule, but without the glaring exaggeration and obtrusive moralizing which make Hogarth's pictures (with whom Jan Steen has much in common) so unpleasant to look upon. Family feasts and merry-makings, the wedding of ill-assorted couples, quacks and their quackeries, lovelorn maidens ("hier baat geen medicijn, want het is minne pijn"), tavern brawls and similar scenes are his favourite subjects. 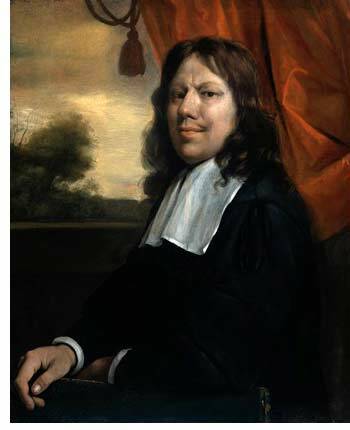 Jan Steen has, and with justice, been likened to Molière. The greater number of his works, including many of the best, are in other countries in the world, but he is well represented in most of the Dutch collections also in the Ryks Museum at Amsterdam. Jan Steen is a solitary personage. He stands alone, and has no followers, but his work proved a source of inspiration for many painters. In Dutch there is a saying: "Een huishouden van Jan Steen" ("The household of Jan Steen") meaning: Having a bad, messy household. Read more information on Jan Steen.